She was born 1/16/1958 at Luther Hospital in Eau Claire, WI, and was the daughter of Leila Geer and Elmer Stelzer. Sandra grew up in Chippewa Falls, WI and attended Chippewa Falls Senior High School, as well as some college courses at Chippewa Valley Technical College. She married Norris W. Rush in 1977 and though they later divorced, they remained close. Sandra met Randy Alan Albertson in 2012, and the two married on 12/24/2018. Randy was a rock for her and a special part of her life. Sandra worked at several local nursing homes over the years as a Certified Nursing Assistant and took pride in providing the best care possible to those she served. She enjoyed collecting fabric and sewing machines, sewing quilts, cooking pancakes with her grandchildren, and gardening. Her many flower gardens were a sight to behold! We will never forget all the time spent walking outside with her admiring her flower gardens. She enjoyed spending time with family and friends, and especially cherished the time she spent with her grandchildren. 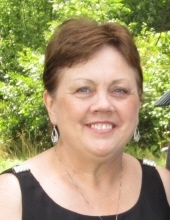 Sandra regularly attended Maple Grove Bible Church and thought of its members as family. She loved reading and listening to Bible passages and sharing her faith and love of Jesus whenever she could. Sandra will be greatly missed by her husband Randy Albertson, ex-husband Norris Rush, children Tamara (Shawn) Davis, David (Christine) Rush, step-children Jason (RaeAnne) Albertson, Melissa Albertson, grand children: Benjamin Davis, Maximus Davis, Avery Rush, Emily Rush, Emerald Albertson, Ayliah Albertson, and Alexa Albertson, siblings Richard (Jolly) Stelzer, Patricia Ross, Carol Pawlicki, Kathleen (Arnold) Nitz, Robert (Jill) Stelzer, Tracy (David) Hirsch, Harold Geer, Doran (Sandra) Geer, her many nieces, nephews, great-nieces, great-nephews, Jake, John, and James Whitwam and their families, and many close friends. She was proceeded in death by her mother and step-father Leila and Walter Geer, father Elmer Stelzer, brother and sister-in-law Gerald and Patricia Stelzer, brother Donald Geer, nephew Doran Lee Geer, II, and her great niece Lilly Davis. with Pastor Steve Mohr officiating. Interment will be in the Cornell Cemetery. at the Maple Grove Bible Church. Leiser Funeral Home Cadott, WI. To send flowers or a remembrance gift to the family of Sandra Alice (Stelzer) Rush, please visit our Tribute Store. 2494 350th St. Stanley 54768 WI. "Email Address" would like to share the life celebration of Sandra Alice (Stelzer) Rush. Click on the "link" to go to share a favorite memory or leave a condolence message for the family.